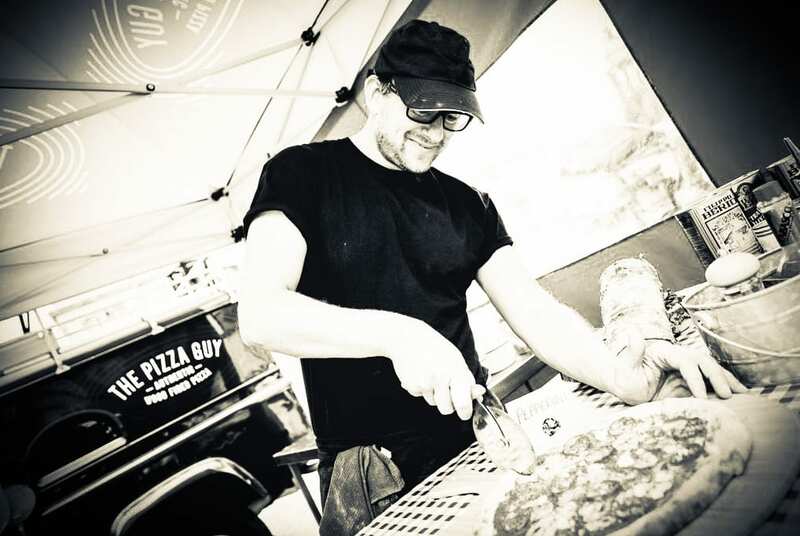 “My mission is to deliver an Award winning mobile wood fired pizza experience that keeps you coming back for another bite. 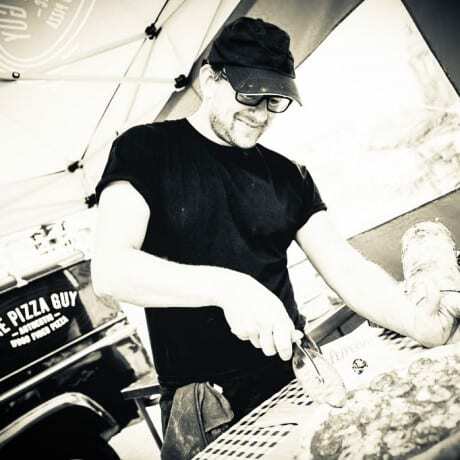 A Land Rover Defender converted with a mobile wood fired pizza oven, can get to most parts that others cant reach, from Yorkshire and beyond – so lets get the party started. 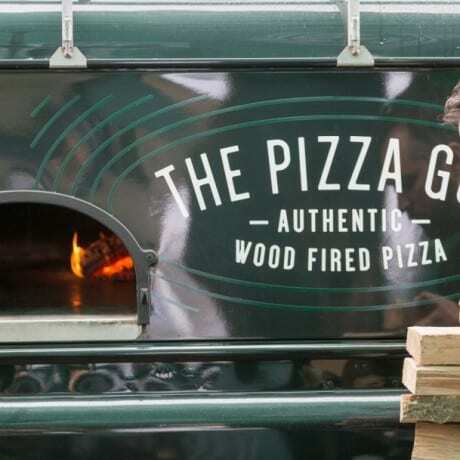 When was the last time you went to a wedding and the evening food was delicious wood fired pizza served from a Land Rover with a built-in pizza oven? Never, that’s when! Make your big day even more unforgettable with an extra invite for Winnie and The Pizza Guy. 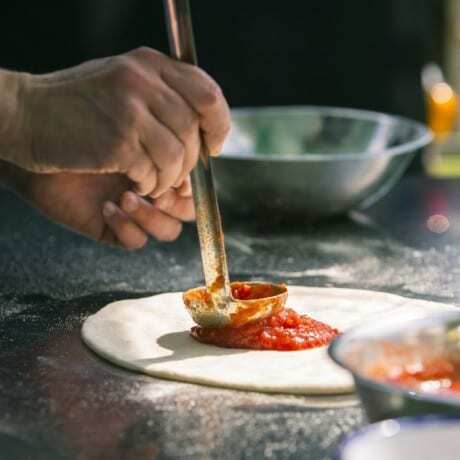 Serving a seemingly endless selection of 12” pizzas in quarter slices – your guests can keep coming back for seconds, thirds and even fourths. One thing’s for sure, no-one’s going home hungry when The Pizza Guy and Winnie attend your wedding. Team building. Two words guaranteed to strike boredom into the heart of your staff. Not any more. 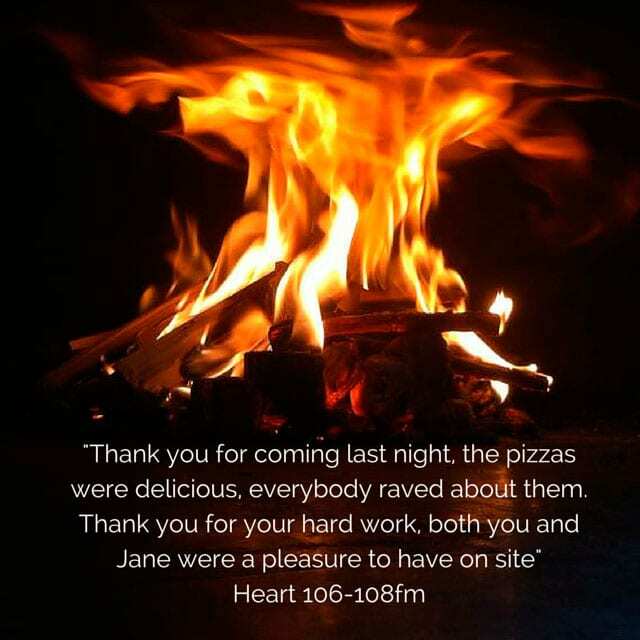 Let Winnie and the Pizza Guy fire up your corporate event. From a fun food Friday treat to a bonding session in a log cabin in the woods – Winnie can go almost anywhere to transform your team building session into an unforgettably tasty experience. Prepare to be popular. You’re welcome. Planning a birthday Party? Forget soggy sandwiches and sausages on sticks, prepare to be the envy of your friends – Get the party started by letting The Pizza Guy and Winnie take care of the food for you. No washing up, no mess, leaving you more time to let your hair down and look after your guests. Professional party photography is also available – just ask for details. 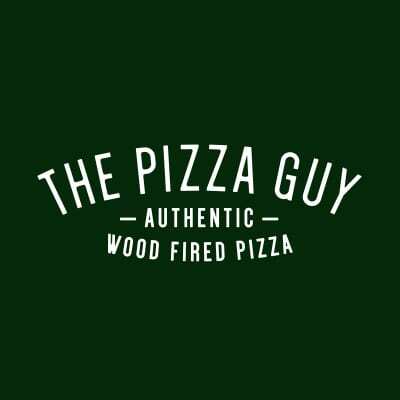 Who is The Pizza Guy? The short answer is Simon Walker. The long answer? Well, it’s still Simon Walker, but unsurprisingly he wasn’t born making pizzas (imagine that!). 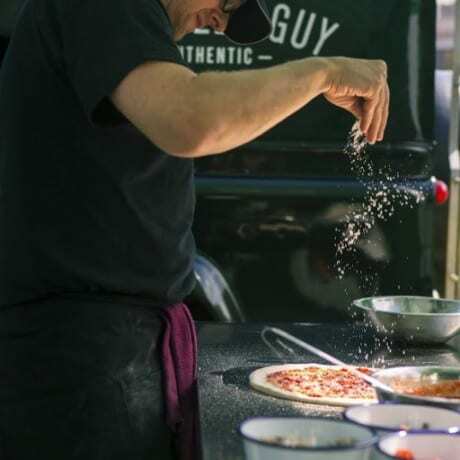 Along the way he’s been ‘The Apprentice Chef Guy’,’The Customer Relations Guy’,’The Radio Producer Guy’ and then, in March 2014 he decided to do something he really loved. 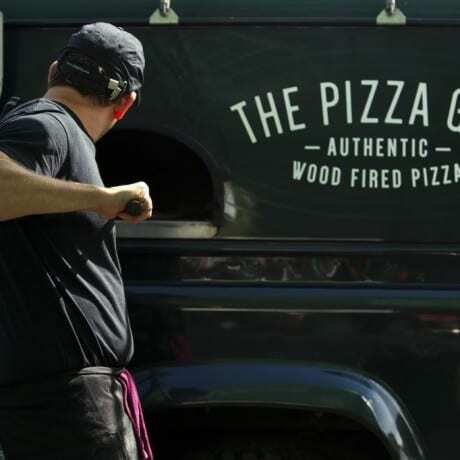 So he bought a Landrover (now known as ‘Winnie‘) and converted it to hold a wood fired Pizza oven and The Pizza Guy was born. Why wood fired pizza? Because it’s so simple. 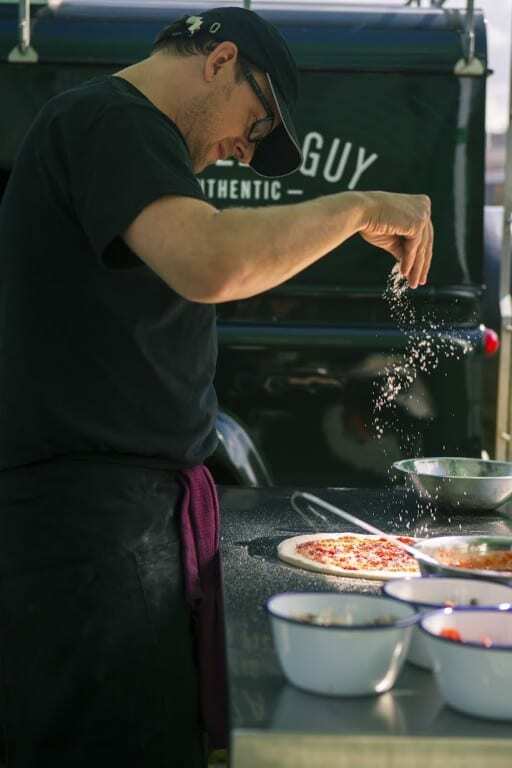 Simon’s a strong believer in keeping food as uncomplicated as possible: Take the finest ingredients, treat them with respect, cook them in the right way – and you can’t go wrong. 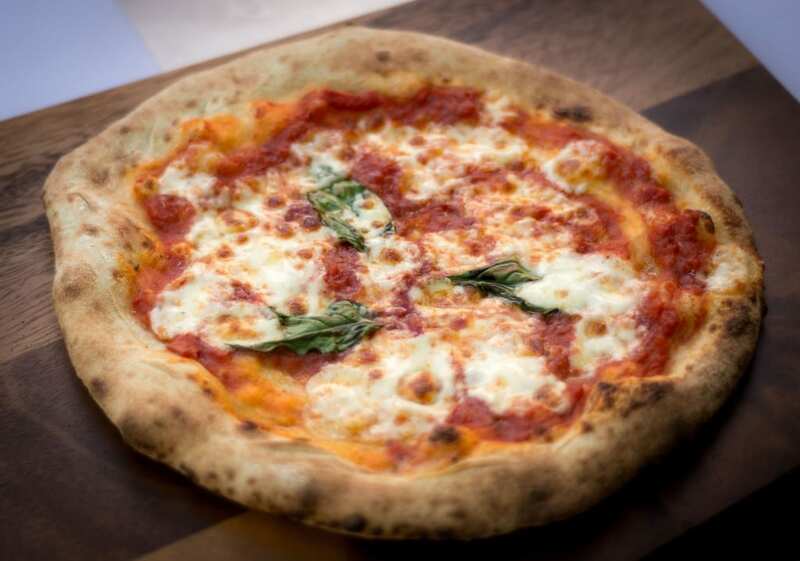 Plus, let’s be honest, who doesn’t love pizza? 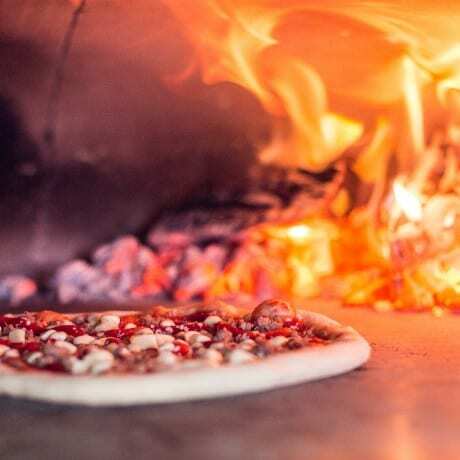 And it’s this passion for simply delicious food that you can taste in every bite of a Pizza Guy pizza. They say if you do something you love you’ll never work another day in your life. If that’s true, Simon Walker has retired… and he’s ready to come to your party. 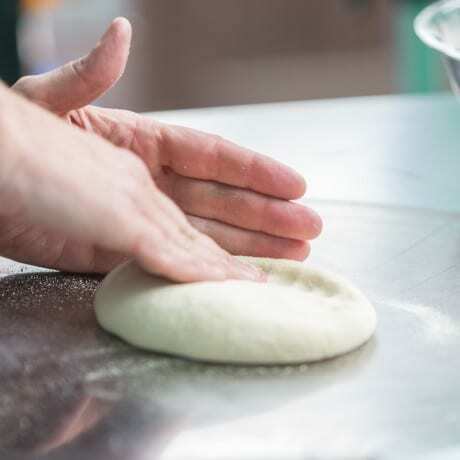 The dough is made using Caputo flour which is milled in Naples. This makes the middle thin and crispy and the crust fluffy and bubbly, with just the right amount of crisp and chew. 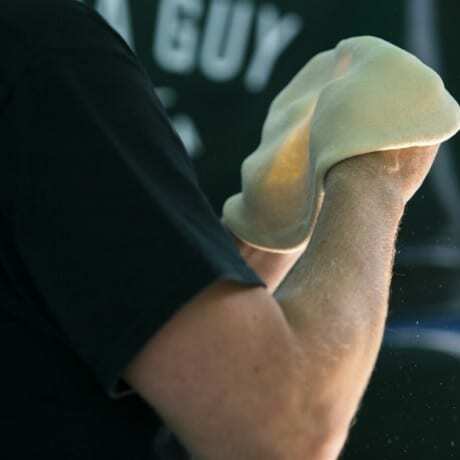 It’s the Godfather of all flours. 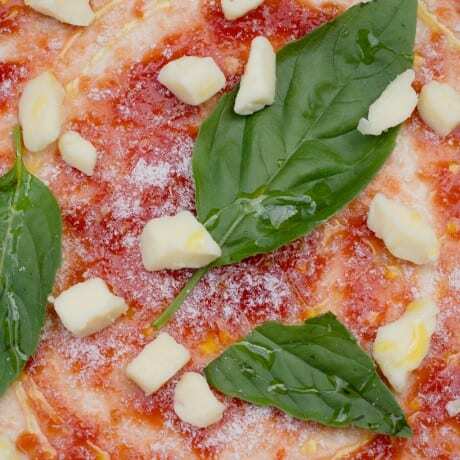 And with a base this good, we know you’ll find it hard to refuse (sorry!). 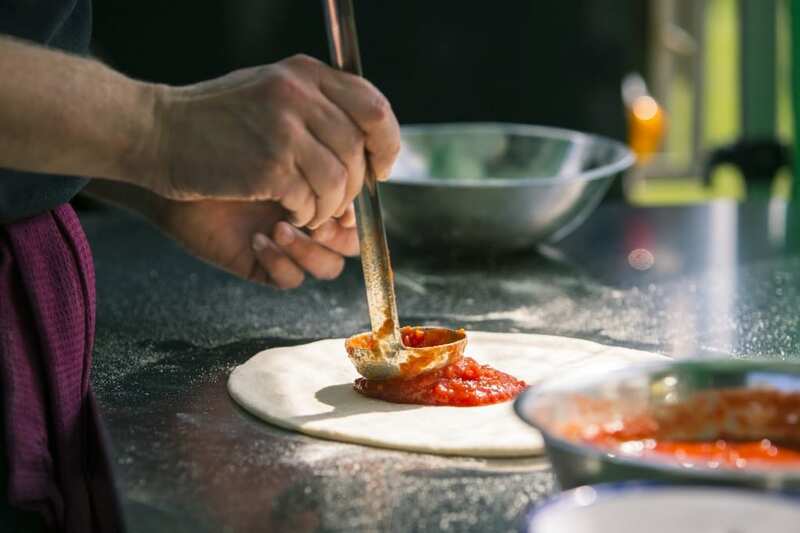 The sauce is made with D.O.P San Marzano tomatoes. Known as ‘Red Gold, these juicy tomatoes grow in the soil around Mount Vesuvius and are world famous for their unique sweetness. 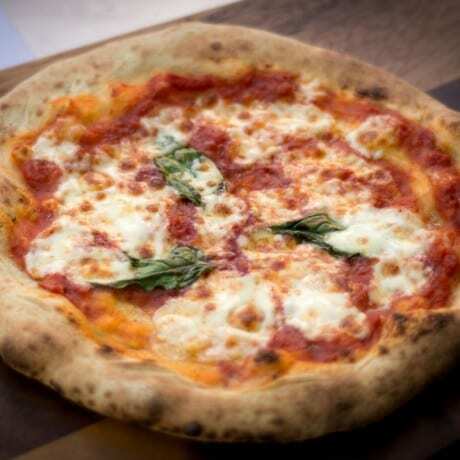 In fact, the Italians say “if it ain’t San Marzano it ain’t a true neapolitan pizza”. And they should know. (Although they probably don’t say ‘ain’t’). Then we scatter on some creamy mozzarella and a handful of toppings, including our very own Italian Sausage recipe which we have locally made (because that’s how much we care). And it’s time to get fired up. 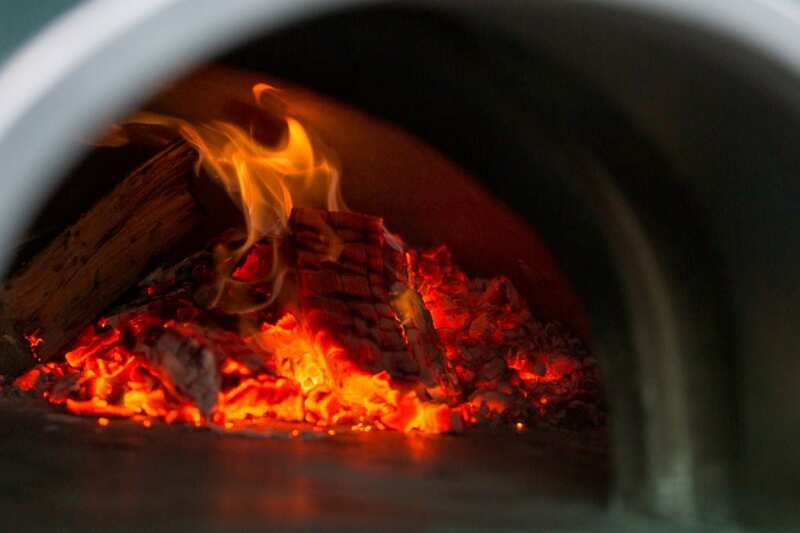 It’s time for Winnie, the mobile wood fired pizza oven. Meet Winnie. She’s a Landrover Defender, and she’s hot. In fact, Winnie’s built in oven burns at around 500 degrees. This means she can cook a whole pizza in under two minutes. 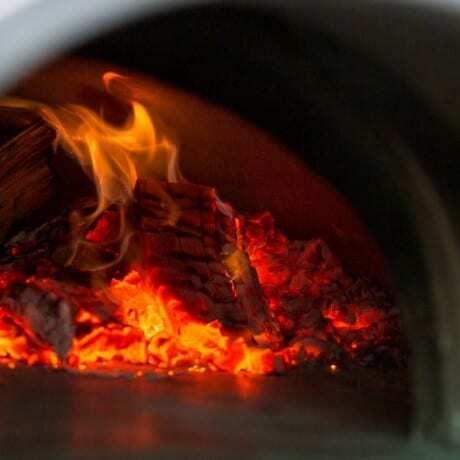 It’s this heat and speed which combine to create a unique, truly authentic wood fired flavour that’s impossible to recreate any other way. So don’t try this at home. Because frankly, there’s no point. And there’s also no need. 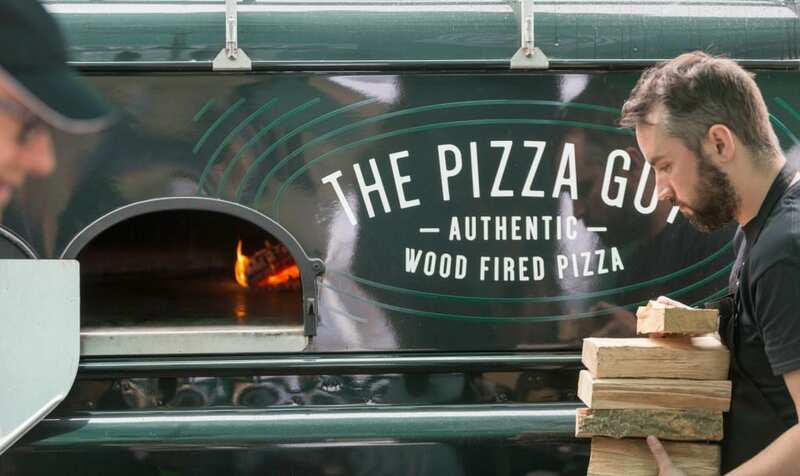 Because when your mobile wood fired pizza oven is in a Landrover no party is out of bounds. Team building exercise in the middle of a muddy field? No problem. Birthday bash in a trendy converted barn? Easy! Because wherever people are hungry Winnie will be there. 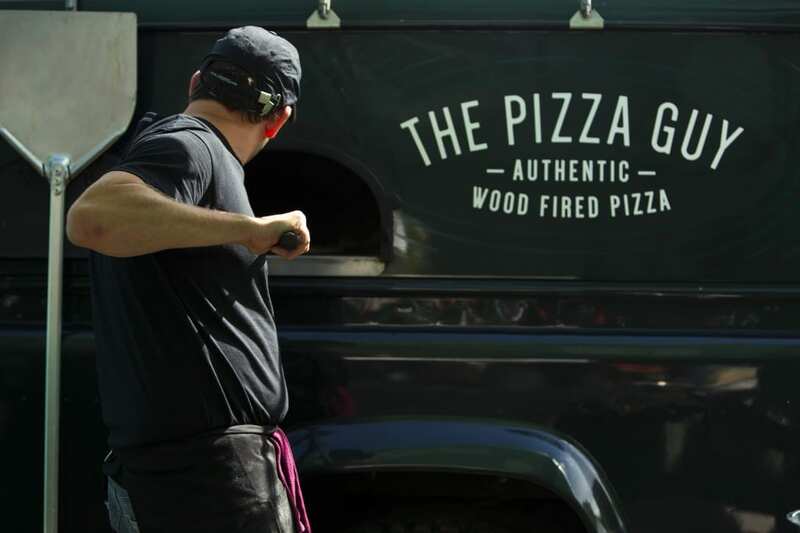 To hire Winnie and The Pizza Guy (well someone has to drive and make the pizza’s) get in touch. Your guests and your tastebuds will thank you later. Great news! Soon we will be franchising THE PIZZA GUY. 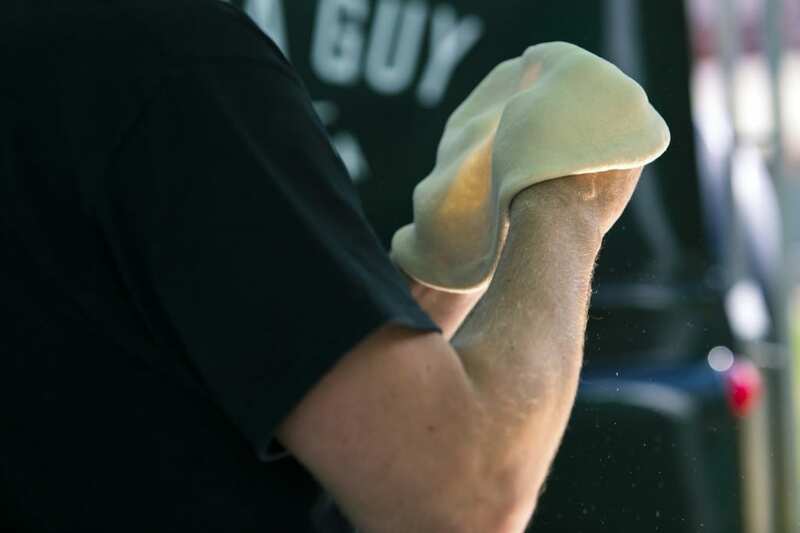 If you want to be a part of a growing business and brand, then please contact us via enquiries for details.